We’re serious about keeping our lawn care equipment simple.  Simple to use, maintain, transport… and rent. The Classen brand was born for rental. 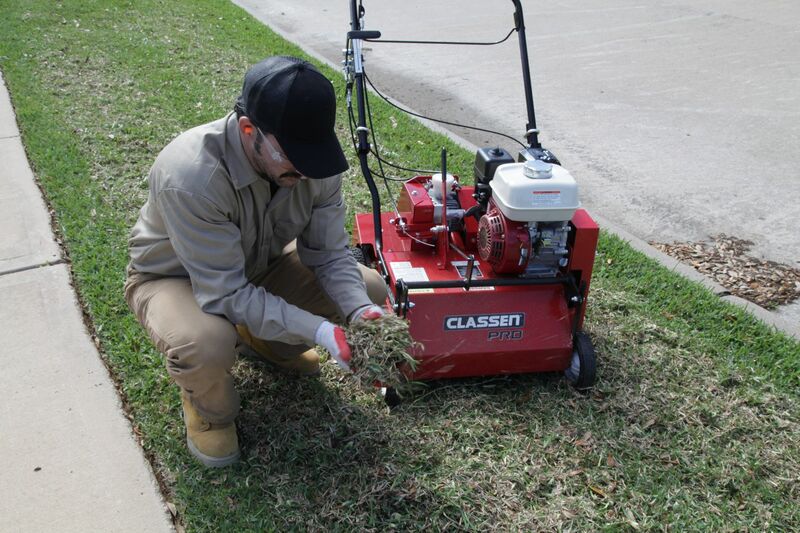 Serious equipment made simple for every customer is our promise to our customers and you’ll enjoy the experience of renting and using Classen equipment for your lawn and turf care projects because of it. 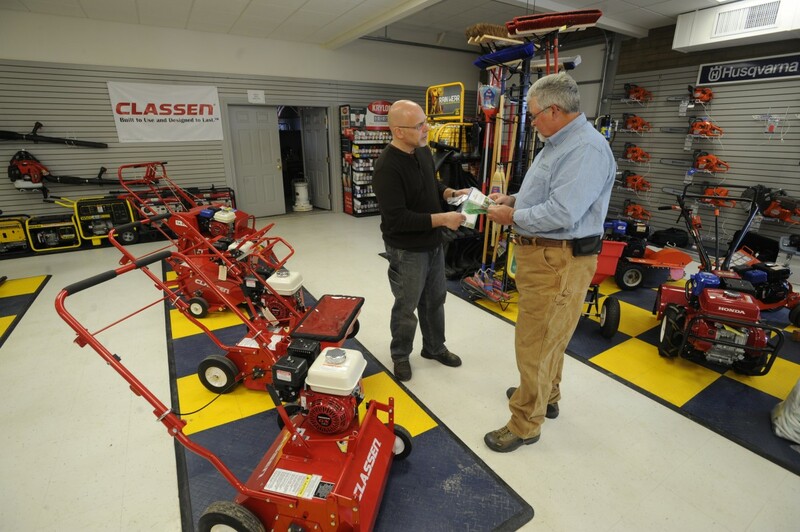 You can find Classen turf care equipment through national rental stores and independent rental shops nationwide. Visit our dealer locator to find a rental store in your area. 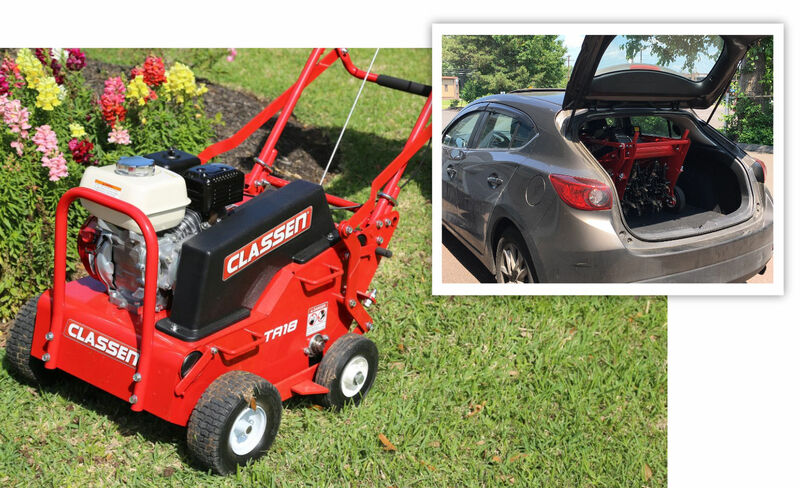 It's Seriously Simple to upgrade your turf care equipment fleet with Classen and Classen PRO equipment. Special Programs and Store Financing available! 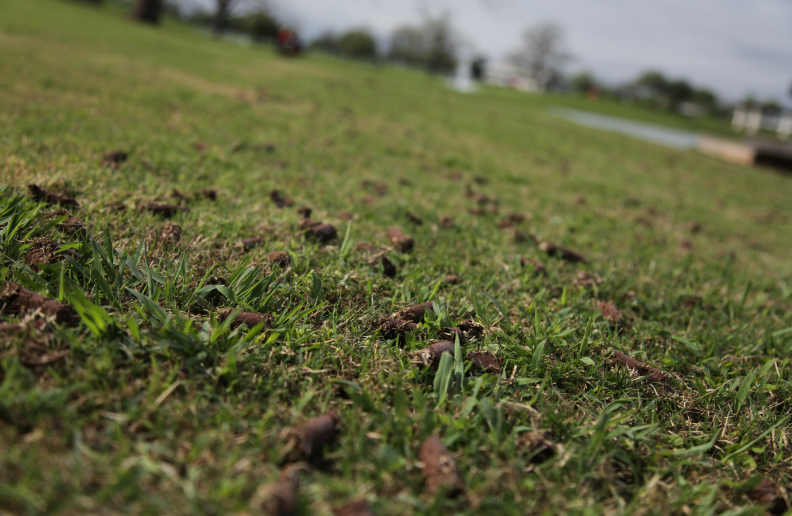 Aerators open the soil for more effective penetration of air, moisture, and nutrients. Aeration reduces water runoff and helps reduce soil compaction. Less compaction means a healthier root system. 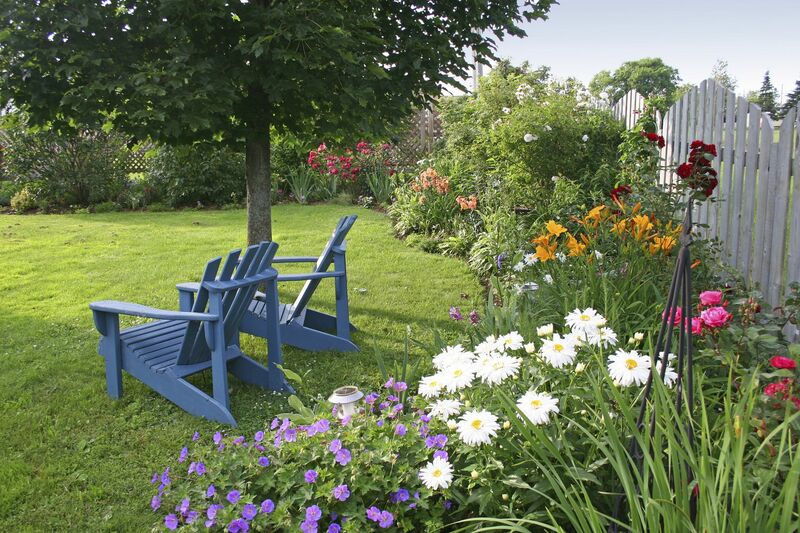 The lawn will become more tolerant to heat, drought and traffic as well as more disease resistant. 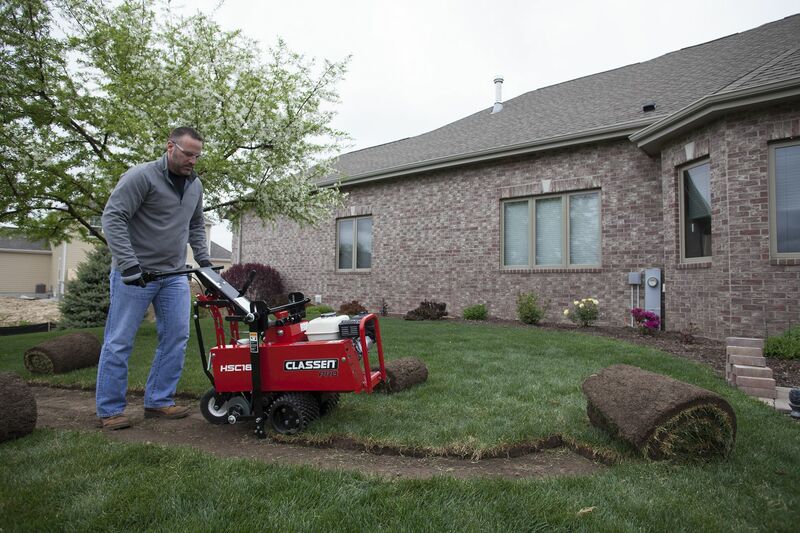 For small to mid-size residential jobs: Consider a compact aerator that’s designed to fit thru narrow property gates. Their weight is manageable, they utilize smaller engines and are easier to store and transport for both the dealership and the customer. Medium size properties: Use a larger unit that covers more ground in less time. Traditional aerator units require the user’s strength to lift the unit high enough to remove the tines from the ground in order to turn the unit around to aerate the next row. Tine wheel aerators either with water drums and/or additional weights aren’t light in weight and after just a couple of rows, the user may become fatigued. Consider an aerator with steering capabilities for a more pleasant rental experience. 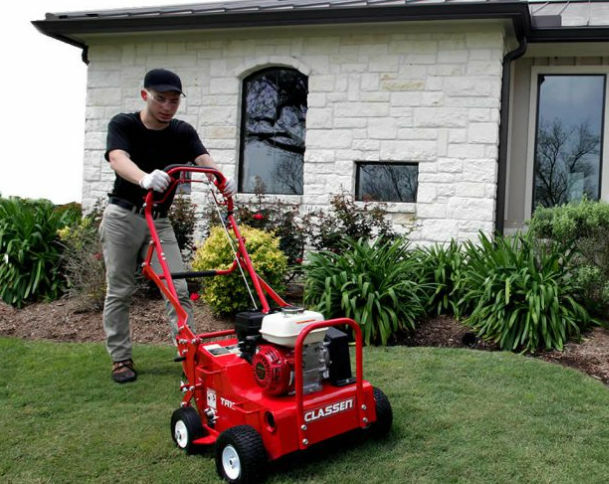 If your property is flat a reciprocating tine aerator is a refreshingly quick and easy option. The tines on a reciprocating aerator move up and down and are effective on very compacted soils. Large properties: Use a stand-on aerator. Stand-on aerators operate similarly to walk-behind models with the added feature of the operator being able to stand or ride on the unit versus walking behind it. For very large areas not hindered by narrow gates, pull or tow-behind aerators are the most efficient aerating units. They come in a variety of widths and some can even be towed by a riding mower. Thatch is a combination of dead grass, roots and other matter that builds up on a lawn over time. Thatch compacts and causes healthy grass blades to become stressed and weakened, thin, and eventually dead. The easy thorough way to get rid of thatch is to use a powered turf rake or dethatcher. The turf rake makes quick work of lifting grass-choking thatch from the surface level, which allows the soil and grass to breathe and retain moisture and nutrients. Spring tine reels are pliable and forgiving to undulating soil surfaces and above ground obstacles like sprinkler heads. The tines or picks utilize spring tension to comb through turf at the soil surface level and lift thatch matter to the surface of the lawn for removal. Flail blades are rigid, but mount to the reel loosely so that each blade can move freely and dangle from the reel. The thrusting of the blades traveling around the reel lifting thatch and slicing the uppermost top layer of the soil providing instant access to air, water and nutrients. Multi-purpose or vertical slicer blade assemblies are fixed to the reel for grasses with vine like top level root systems and thicker more woven thatch where slicing is a better treatment to control thatch. Overseeding or seeding is the process of embedding seed into the soil at an appropriate depth. Consistent depth, lay of seed, seed proximity, moisture and ground temperature are crucial elements to the successful germination and establishment of new seed. Seeding should be done in a crisscross pattern and at a consistent depth for the lay of seed to germinate and root properly and evenly throughout the area planted. Inconsistent lay and depth can result in bald spots and a higher level of weeds. A powered turf seeder is the most efficient and effective way overseed and get a healthy lawn with rich, thick turf. 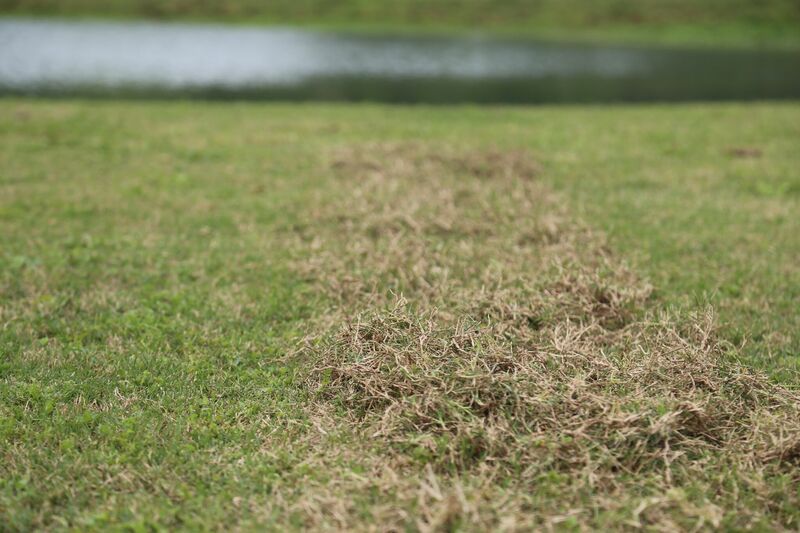 For established turf with bare or weakened thinning areas, professionals tend to dethatch and overseed at the same time. Dethatching first to remove any matted thatch and then overseed. Doing both allows for the best possible penetration of seed and root establishment to quickly thicken up the turf. 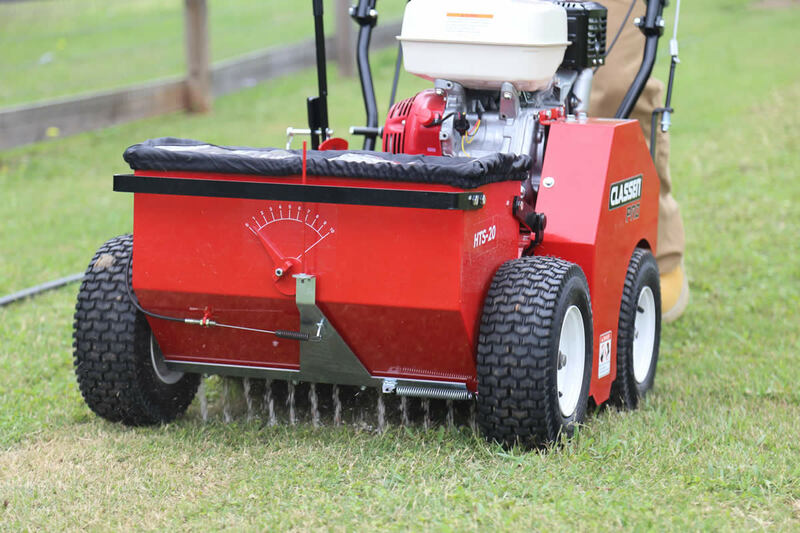 For small to moderate sized lawns or larger flat areas, a standard overseeder is a fine choice as the unit will be lighter in weight and easier to control. For large areas or hilly terrain, a self-propelled unit will limit user fatigue and get the job done quicker. An overseeder with a floating seed box will offer the best possible seed coverage. It will hug the terrain and maintain consistent seed drop, ensuring tight pattern seed coverage on hills, over undulating or choppy terrain. Growing new sod from seed takes months. For instant gratification… sod replacement is the answer! 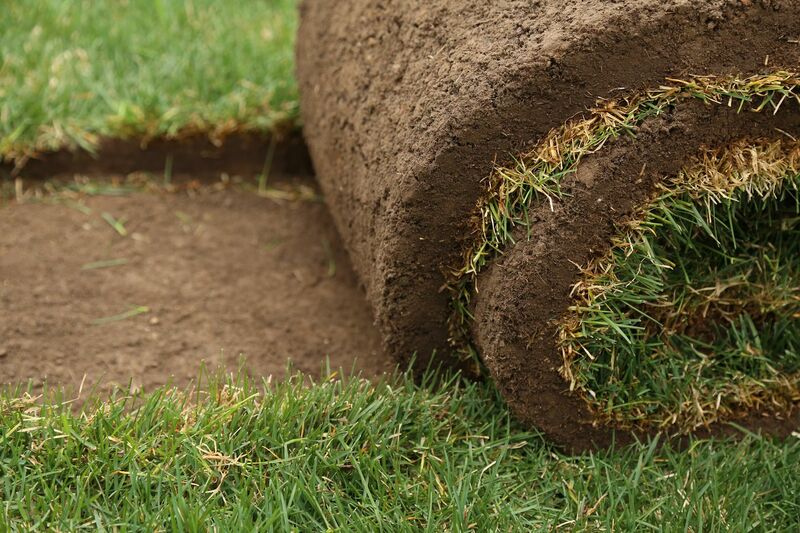 In order to establish new sod, the existing turf, as well as a good portion of the existing root soil, needs to be removed at a consistent depth to establish the new sod’s root system. A sod cutter is a dedicated tool used for one job and one job only – to cut through sod at an appropriate depth. Walk-behind sod cutters can offer a variety of blade widths, from as little as 12 inches on up to 24 inches. When cutting a foundation for a pathway or structure, a leveled cut is important and can cut the labor of a project down considerably. Center blade placement is the key to a level, consistent cut. When cutting tree rings or shapely patterns, a rear swivel wheel makes maneuverability much easier.